Time and time again, science has shown that healthy relationships are the key to happiness. Unfortunately, it seems we’re at a point in time when society pushes these important relationships aside; we’ve replaced game night and intimate conversations with longer work hours and “likes” on social media. A comment on someone’s Facebook post is not the same as a real conversation. If we want to rediscover our happiness and experience contentment in our lives, we need to rekindle our relationships; we must return them to the top of our priorities list where they belong. If you’ve been keeping up with the blog recently, you probably know about my obsession with all things hygge. 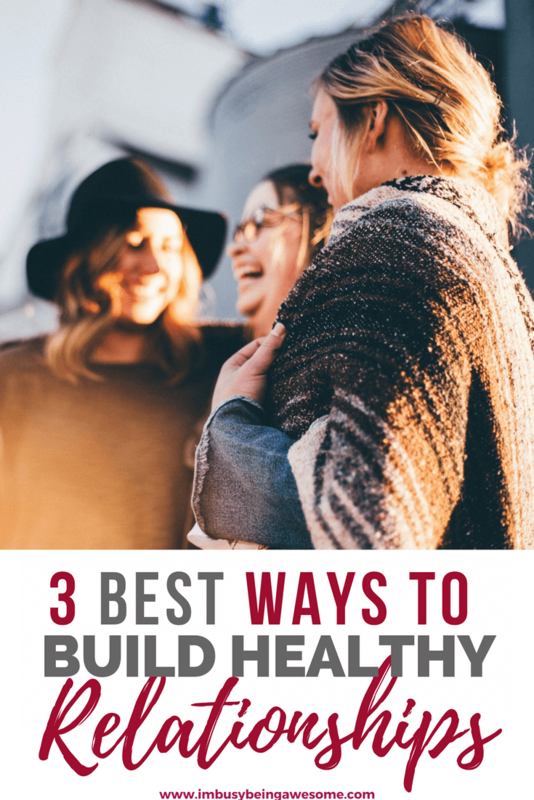 So it won’t come as a surprise that I’ve found some excellent strategies within the hygge philosophy for building healthy relationships as well. How, you ask? With three simple, everyday strategies. Read on to find out! I believe strongly in practicing open dialogue, as it allows room for growth, understanding, and ultimately, healthy relationships. I wrote about this idea back in September, when I shared my top 10 strategies for effective communication. In that post, we explored the technique of using “I” rather than “you,” the importance of observing non-verbal cues, and tips to demonstrate visual signs of engagement. While continuing my exploration into hygge, I’ve discovered how open communication and the Danish lifestyle of comfort and familiarity seem to go hand-in-hand. You see, hygge is all about slowing down, taking your time, and freeing yourself from everyday distractions. It’s about dedicating yourself fully to your surroundings, and staying present in the moment…I don’t know about you, but I can’t think of a more conducive situation for effective conversation that that. What’s more, hygge and healthy conversation creates a positivity loop: hygge establishes feelings of harmony and shared experiences, which opens the door for communication. In turn, you feel comfortable engaging in deeper conversation, inviting even stronger feelings of hygge and connection. Seriously, what’s not to love here? How can you create a hygge conversation? Turn off distractions. Engage fully in the dialogue. Take your time. Don’t rush the discussion. Open up. Share your ideas, and listen to other’s. Remember, a conversation is a two way street. I’m convinced; the more ways technology “connects” us without the need to be physically together, the further apart we get. Guess what. That’s not hygge. Hygge is quality time with people. It is real conversation while enjoying one another’s company. And according to the “belongingness hypothesis” by psychologist Daniel Kahneman, “we have a basic need to feel connected with others, and close, caring bonds with other people play a major part in our motivation and behavior.” In short, good relationships make us happy. How can we create these hygge connections? As Wiking explains, “Hygge is humble and slow. It is choosing rustic over new, simple over posh, and ambiance over excitement.” So as you look for ways to create connections with loved ones in your life, keep these values in mind. Have a movie night in your comfiest, hyggelit clothes. Get out the boardgames (check out the link below for a free download of one of my favorite hygge “games”). If you live far away from your loved ones, embrace technology at it’s finest: have a virtual game night with Skype or FaceTime. Play Pictionary, charades, or Scattergories, and foster those connections even when you’re apart. It’s way more hygge than liking their facebook status. Have a campfire or BBQ. The bottom line: after our basic needs are met, healthy relationships are the key to happiness. And hygge is the secret to healthy relationships. So what do you do when you’re trying to make these connections, but the other person’s not meeting you half way? For example, what can you do if you’ve planned a Fredagshygge night (a hygge family night), and one of your children is simply not having it? How can you connect with someone who’s pulling away? First, think about their interests, and using the conversation tips from above, ask the what they’d like to do as a family. They may not be interested in game night, but what about having a campfire or movie night instead? You might also try engaging in an activity together, as conversation can flow naturally in these circumstances. Plan and make dinner together, or work on a project or craft. If these approaches aren’t effective, you might consider reaching out for help with making these connections. There are many resources out there, like The Hills Youth and Family Services, which can help you rebuild those relationships. Another important component of hygge living (in addition to the other 5 c’s: comfort, coziness, conversation, connection, and candles) is cooperation. Hygge is all about chipping in, helping out, and taking part. Simply put, hygge is togetherness. If you’re having friends over for dinner, for example, it’s okay (in fact, it’s great) if you ask for help in the kitchen. Heck, take it one step further and make it a potluck. That way, everyone shares in the experience. Similarly, if you’re telling stories or engaged in conversation, make sure you listen as much as (if not more) than you talk. Equality, cooperation, and shared experience are key to hygge; make sure everyone has room to share their voice. So as we move toward building healthy relationships, making time for loved ones, and practicing work-life balance, keep the hygge philosophy in mind. Practice engaged conversations. Participate in activities that build connection. And foster togetherness through cooperation. Looking for more ways to live a hygge life? Get your free checklist here! 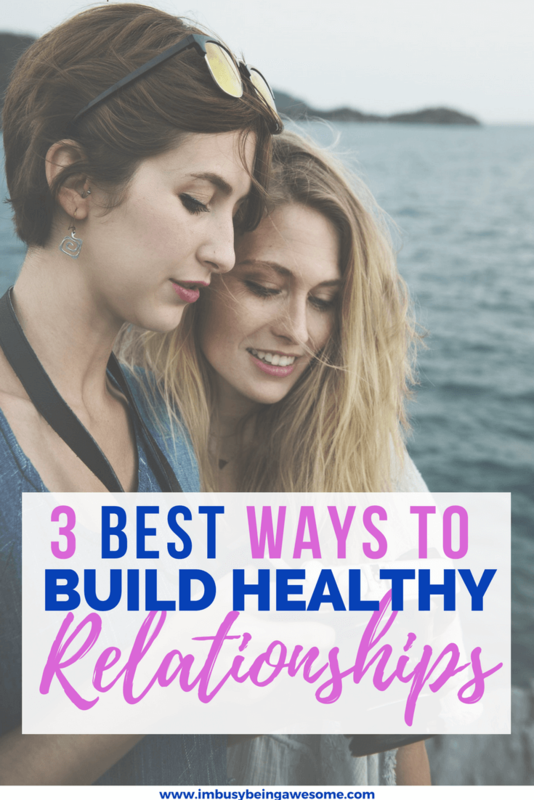 How do you foster healthy relationships? What are your favorite activities to build connection? Do you have any tips for good conversation? Let me know below! These are great tips and I also love all things hygge. I never thought of applying the concept to relationships before. I loved this point under the convo section: Light some candles. Because…hygge 🙂 lol I have candles lit in every room, constantly, and never need an excuse to add more! I love the idea of using hygge as a way to foster healthier relationships. It is so important especially in this social media era! I am so interested in hygge. I like your perceptions on developing positive communication. I plan to start implementing this a little at a time. Thank you! Oh good! I’m so glad to hear it 🙂 Yes, I love the hygge lifestyle, too. No wonder the Danes are such happy people! Love how detailed this post is. The advice is spot on and relationships can always be worked on! Thank you! Thank you so much, Brittany!